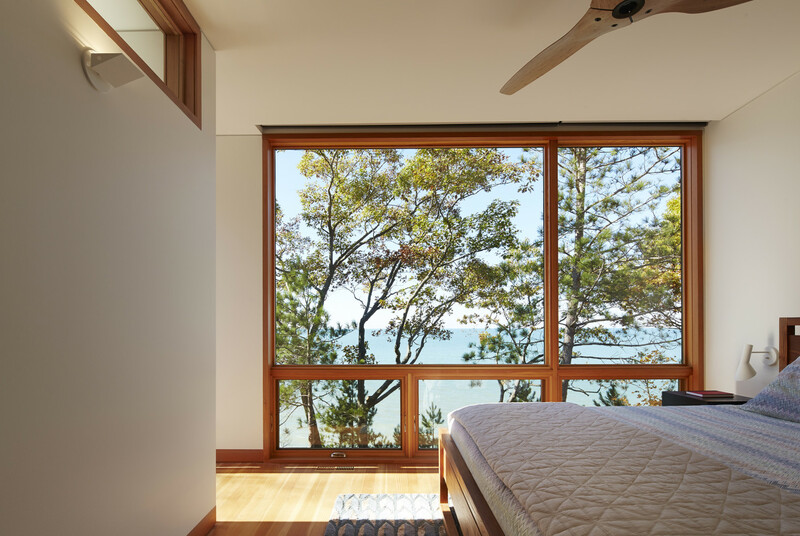 Overlooking Lake Michigan, the home is designed for a family seeking respite from city living and immersion along the quiet beach. 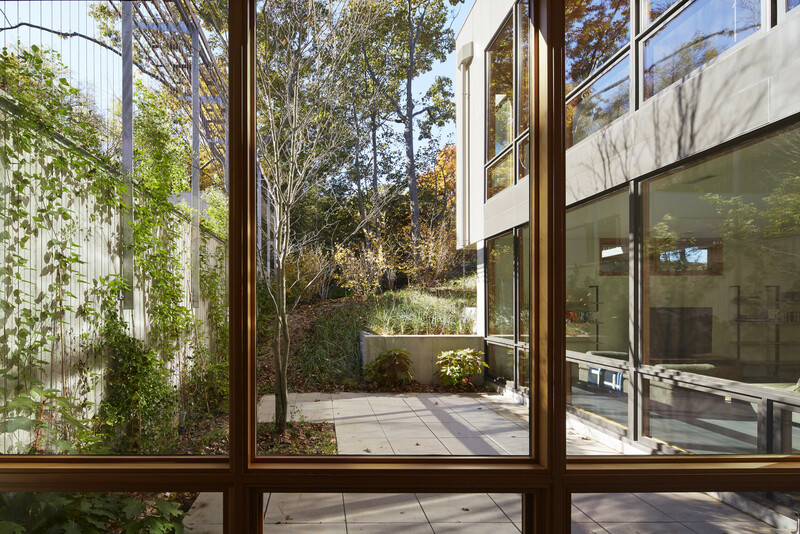 The aesthetic of the project grew out of the client’s desire for a year-round, minimal, low maintenance, and intimate retreat. 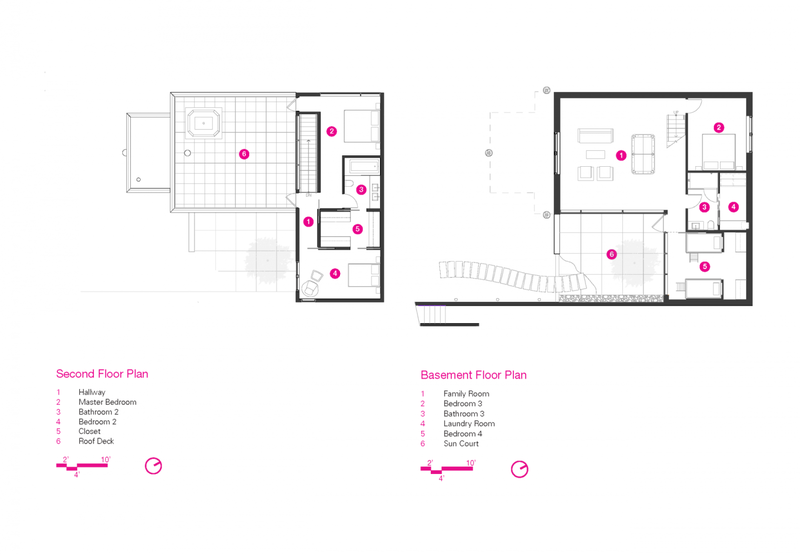 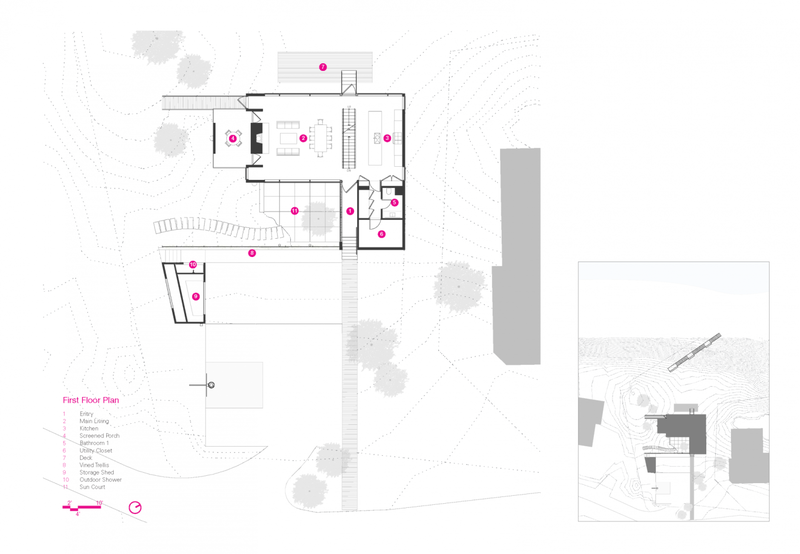 The site context informed the arrangement of the home. 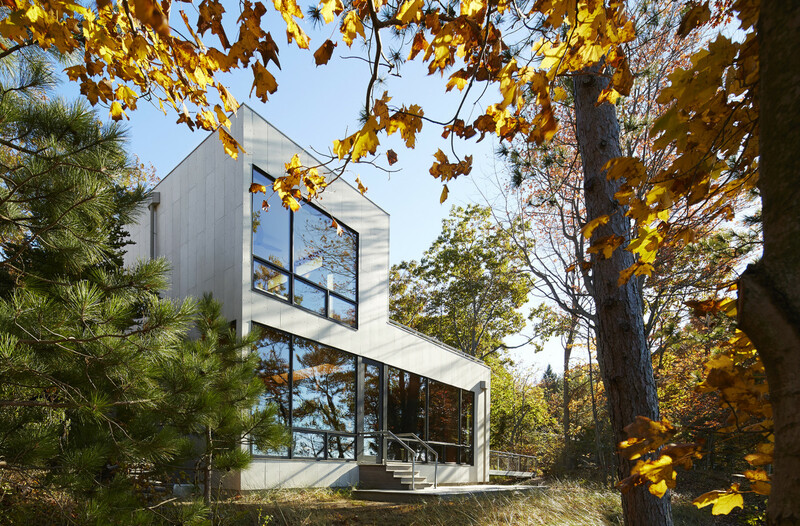 With a pronounced, sloping, dune topography and sizeable neighboring house to the east, the design entails two shifting volumes that maximize southern exposure, privacy, and diverse environments to enjoy. 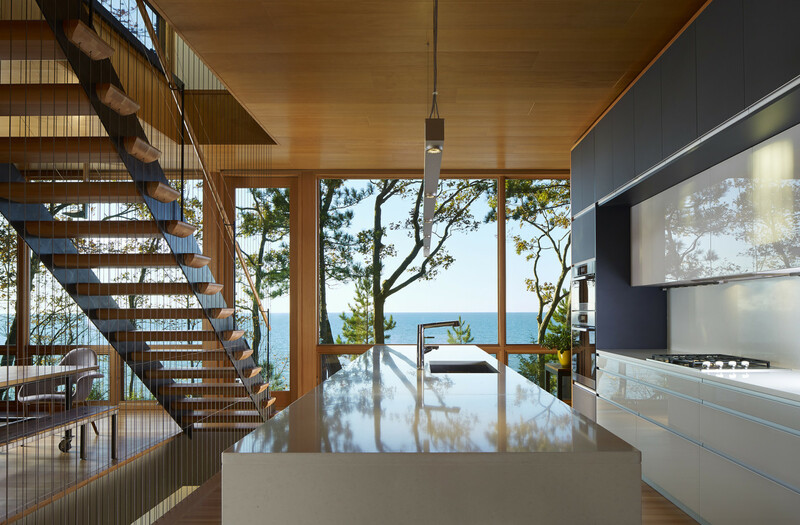 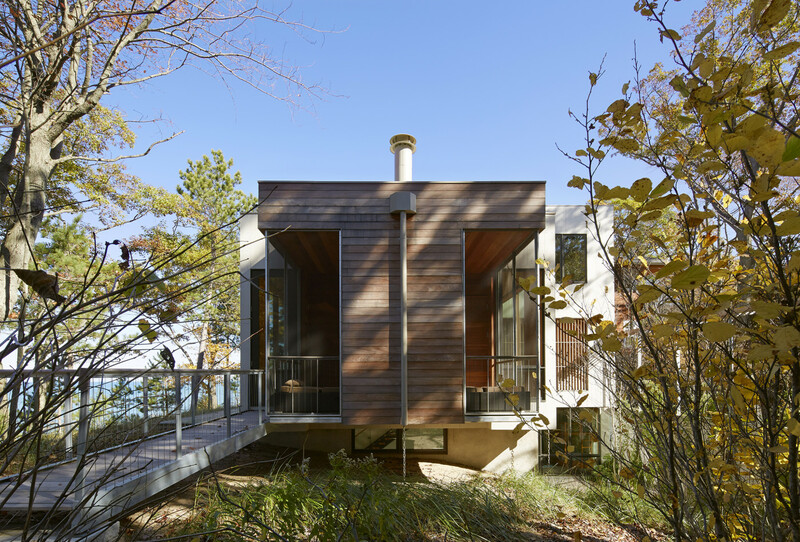 The home is positioned on the inland-side of the dune crest to maintain the integrity of the dune, and take advantage of the prow-like position for expansive views of the lake. 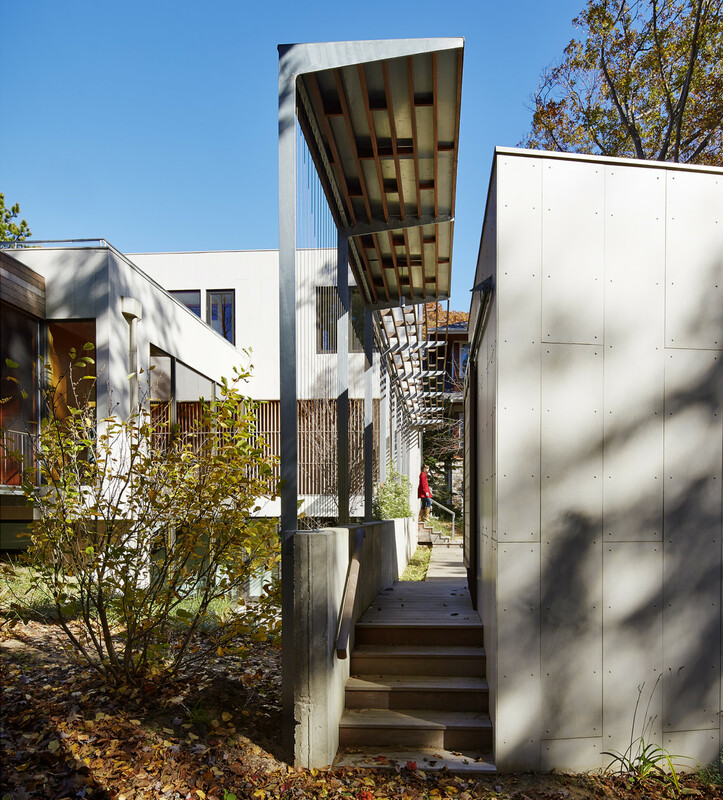 A sequence of layered planes, textures and spaces achieve a balance of privacy and openness to the outdoors. 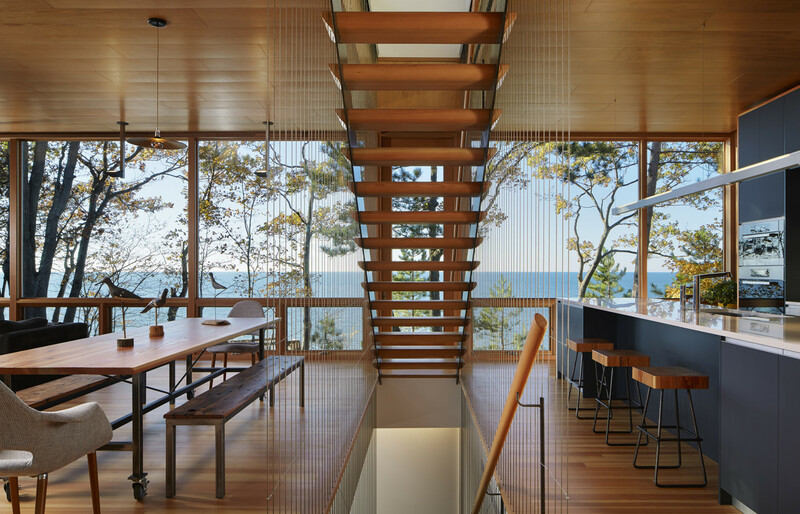 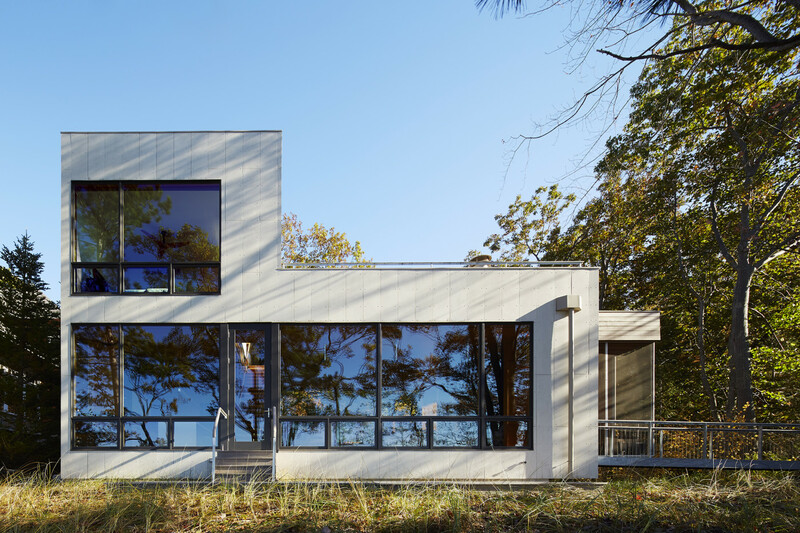 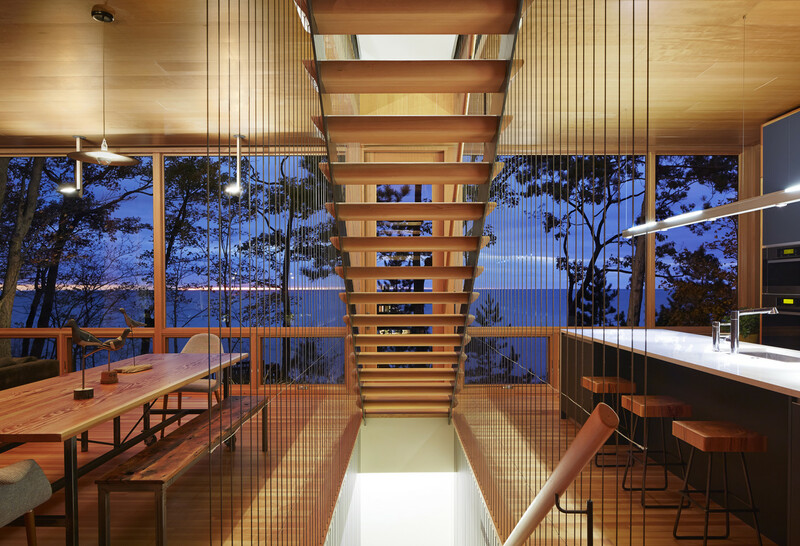 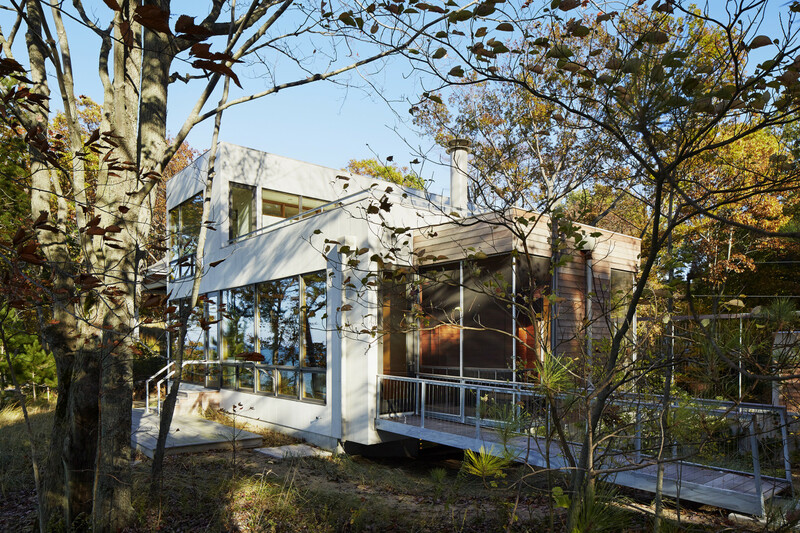 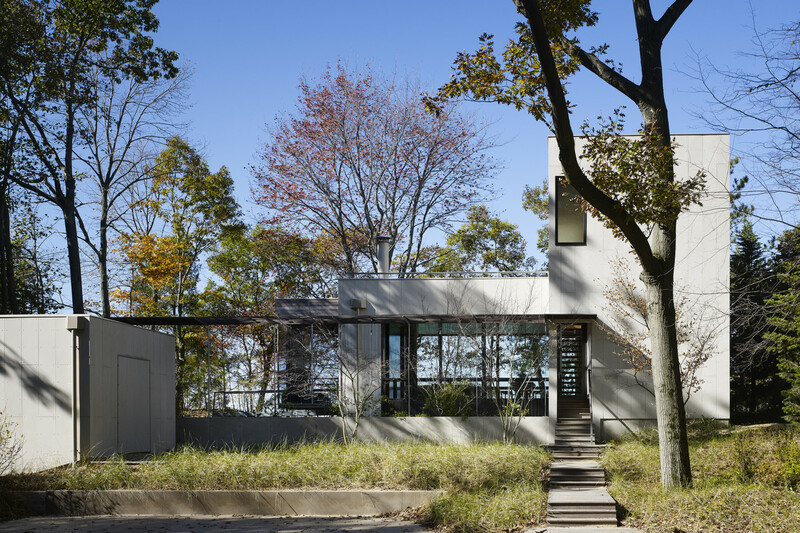 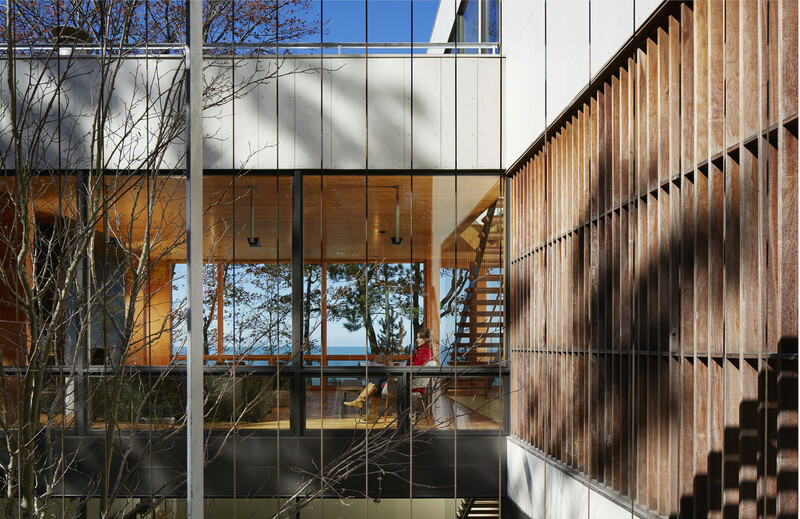 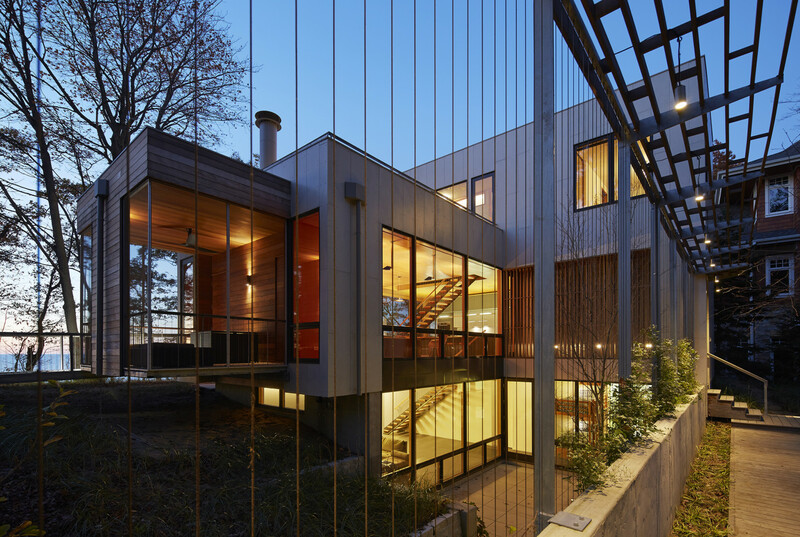 The two-story, opaque volume parallels the adjacent property to provide seclusion while the public, glassy volume bridges the lake-side beach landscape and the road-side wooded landscape. 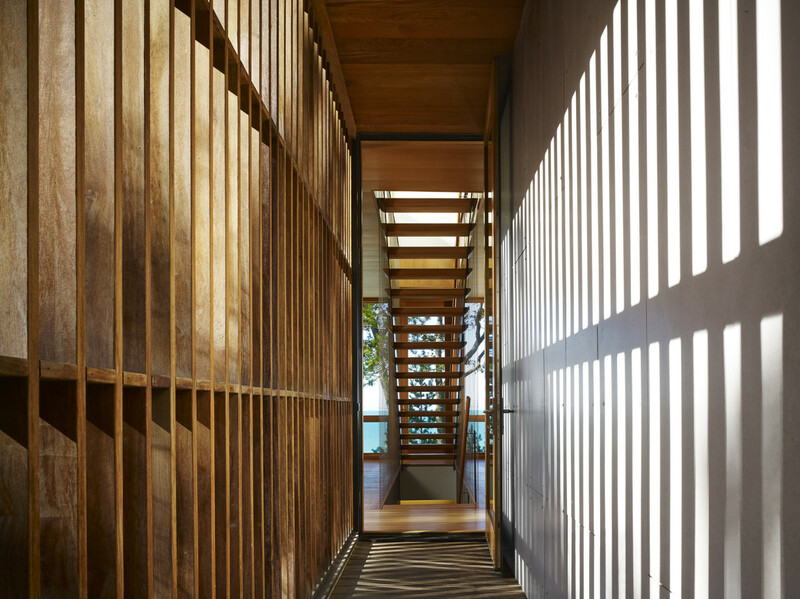 A sunken sun-court formed by the alternating forms gathers natural light for the rooms below and provides a quiet, sheltered environment in contrast to the wind, noise and high energy environment of the kinetic lake. 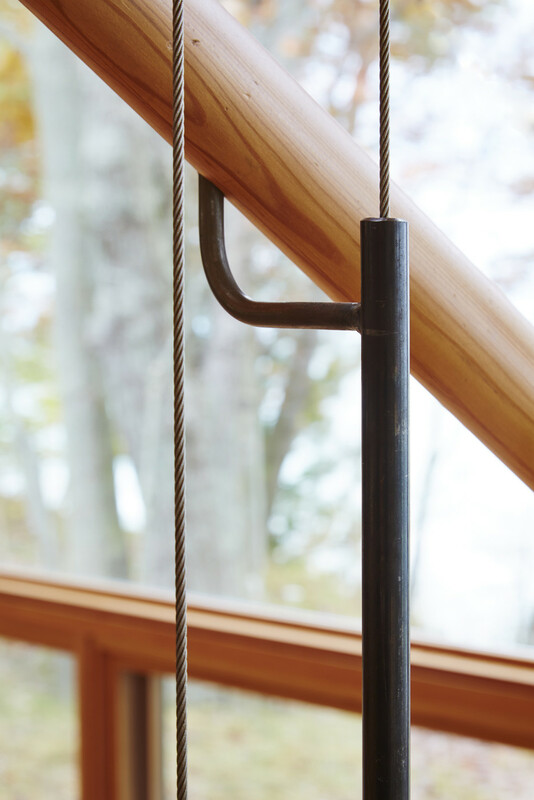 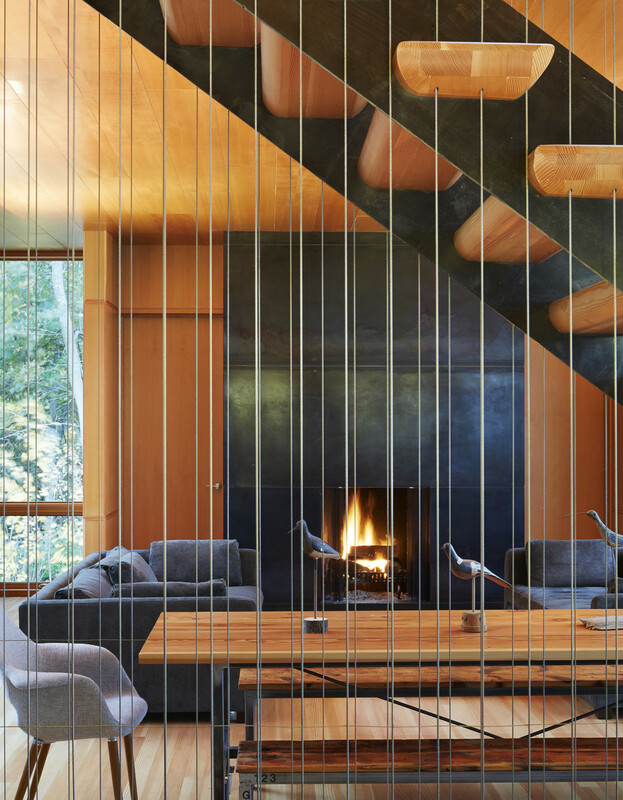 The material palette, rendered in calm, natural earth tones reads quietly in concert with the natural surroundings. 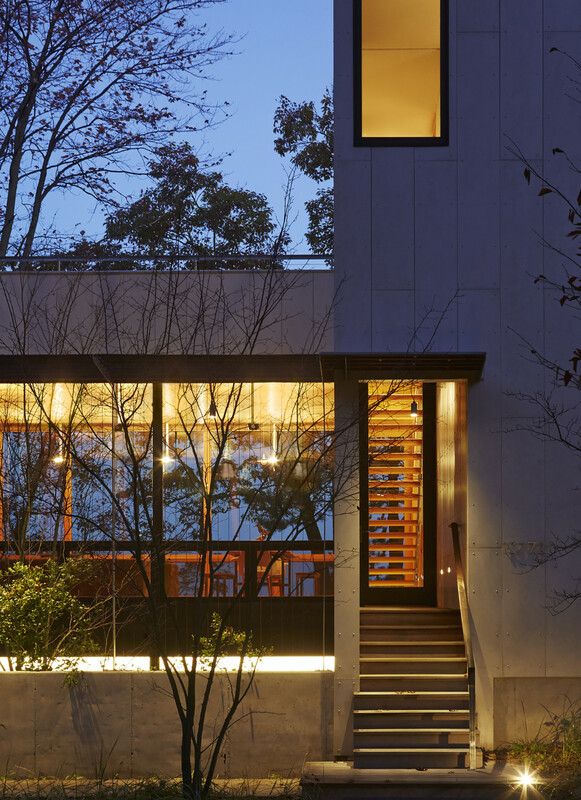 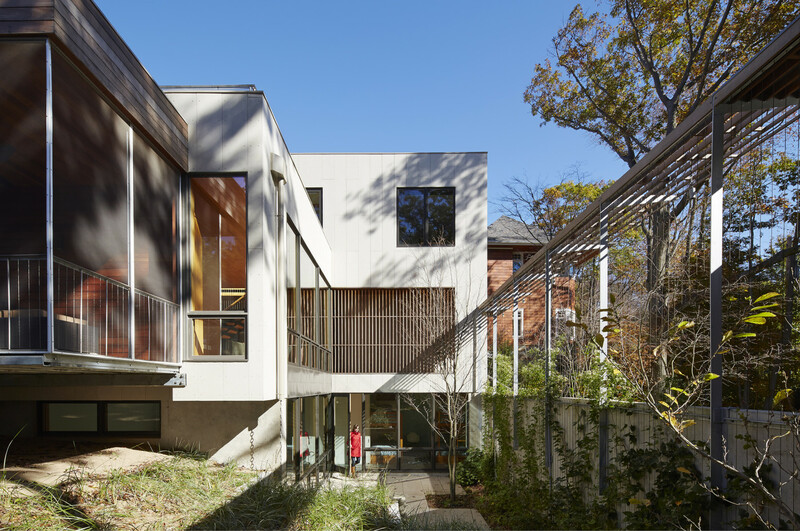 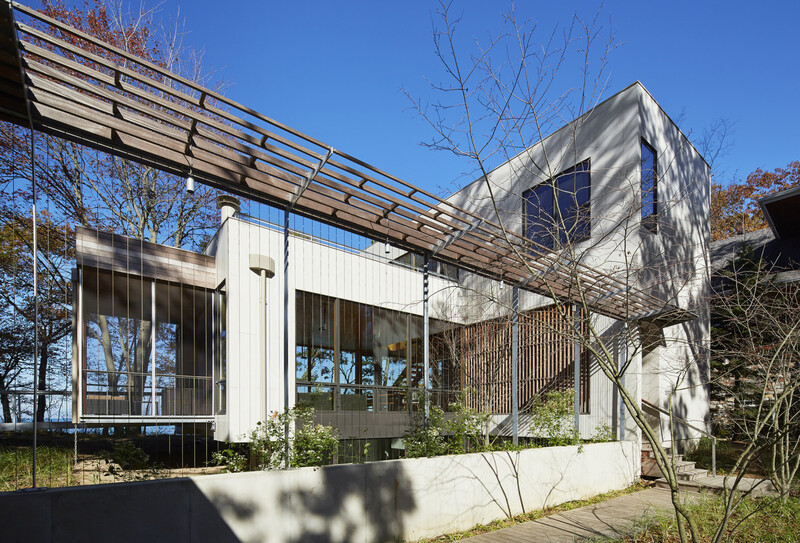 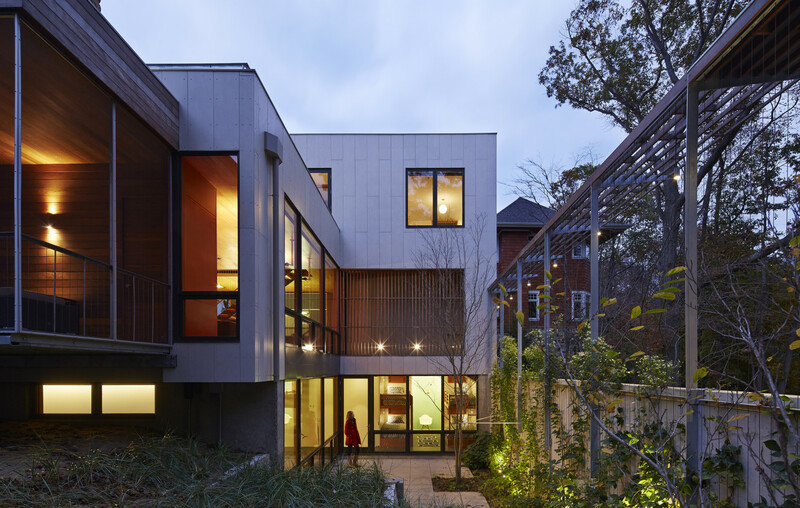 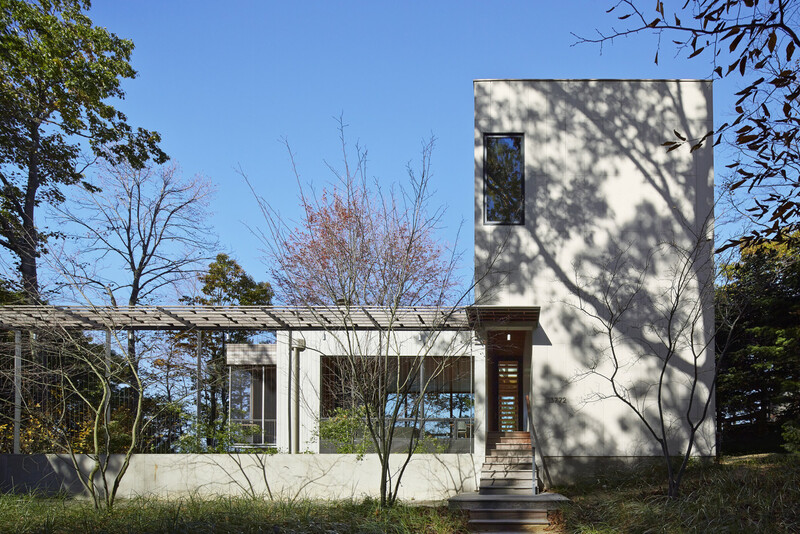 A warm-grey vertical cement board clads the exterior, intended to weather gracefully over time and reinforce the verticality of the surrounding trees. 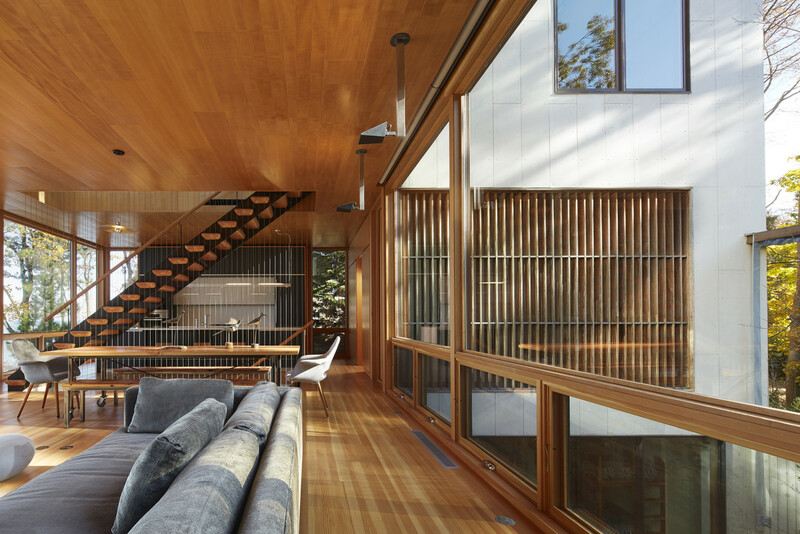 Inside, douglas fir wraps the floors and walls, bringing in warmth and coziness compared to the more abstract exterior scale.